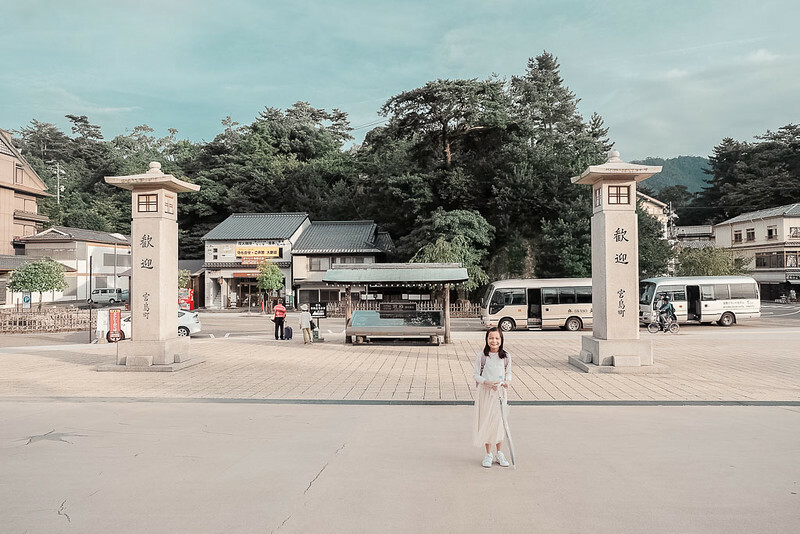 For my second trip to the Kansai region, I wanted to explore somewhere other than Osaka, Kyoto, Nara and Kobe. I wanted a fresh landscape. 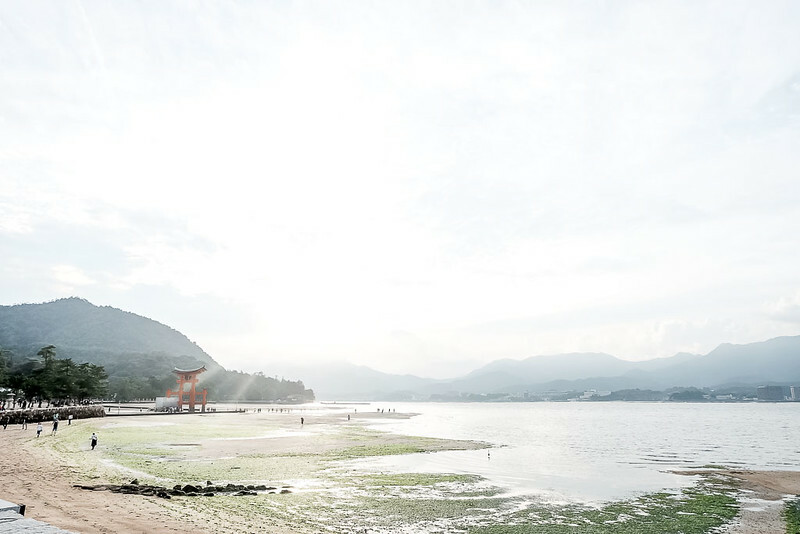 And that's when I discovered Miyajima! 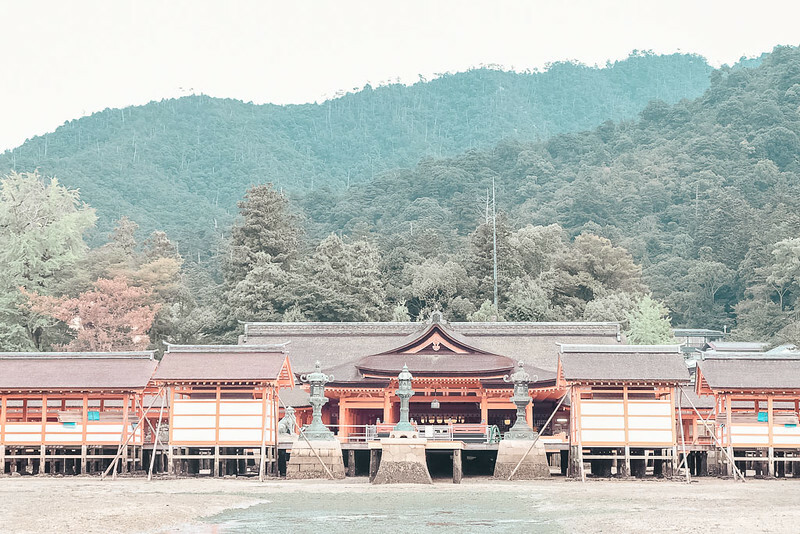 A world heritage site that is among Japan's Top 3 most scenic destinations. 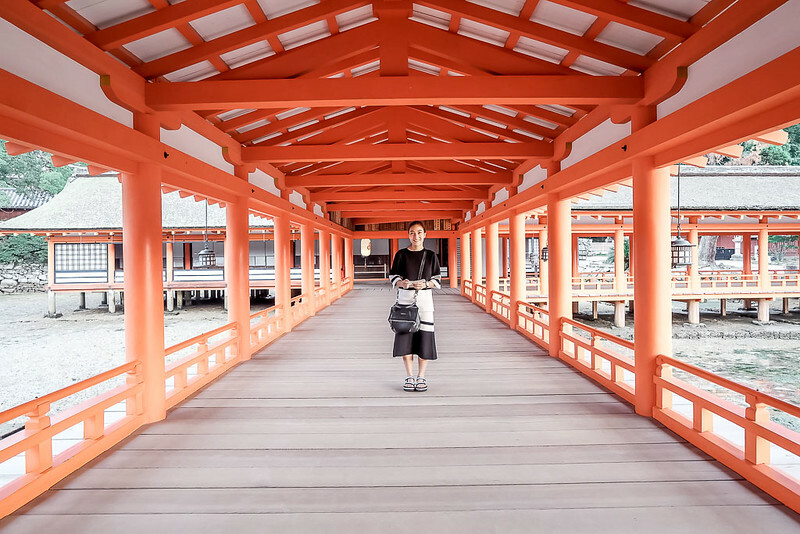 Yes, it's possible to take a day trip to Hiroshima while staying in Osaka! More after the jump. 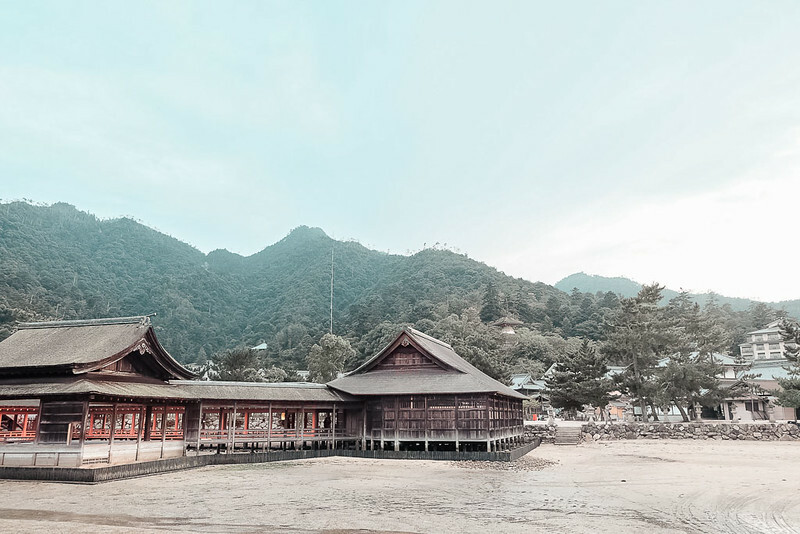 Miyajima is an island off the coast of Hiroshima. 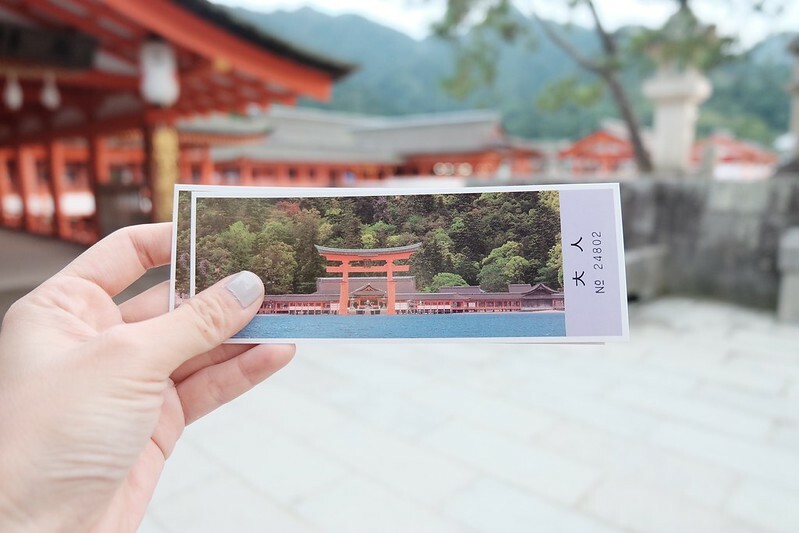 To get there from Osaka, you'll need to ride a local train to the Shin-Osaka station, from there, catch the bullet train/shinkansen to Hiroshima. (Trains depart every 5 minutes or so). 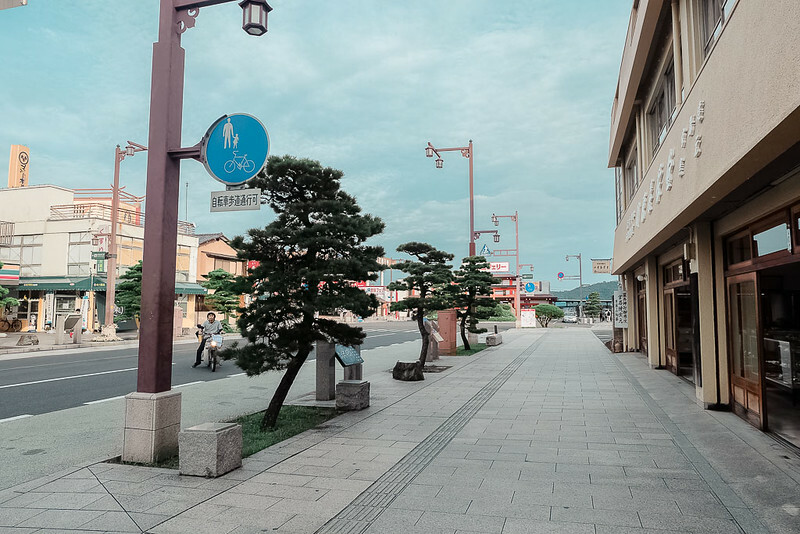 Travel time is between 2-3 hours.When you arrive at the Hiroshima station, take the JR Sanyo Line to Miyajimaguchi station (about 25 minutes). 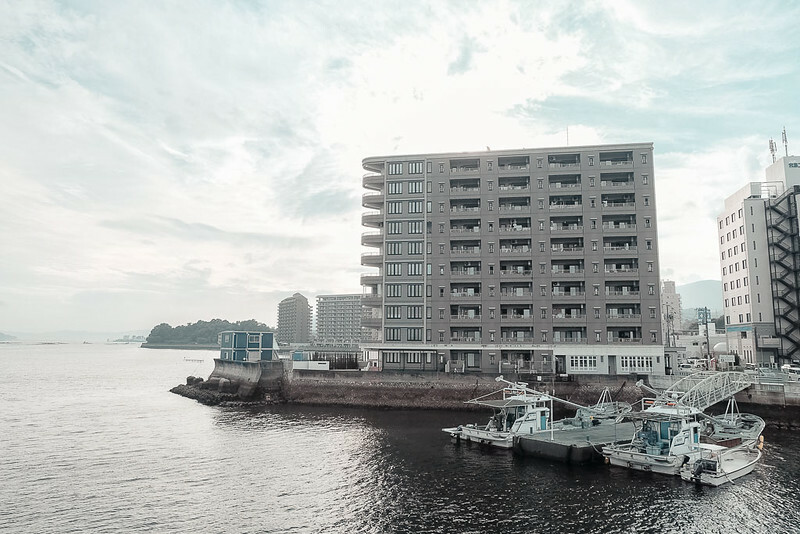 Once there, take a short walk towards the JR Ferry Station (you can't miss it, you'll see it once you exit.) The boats leave every 25 minutes if I'm not mistaken. You can visit the information booth at the Hiroshima station to get a free schedule. 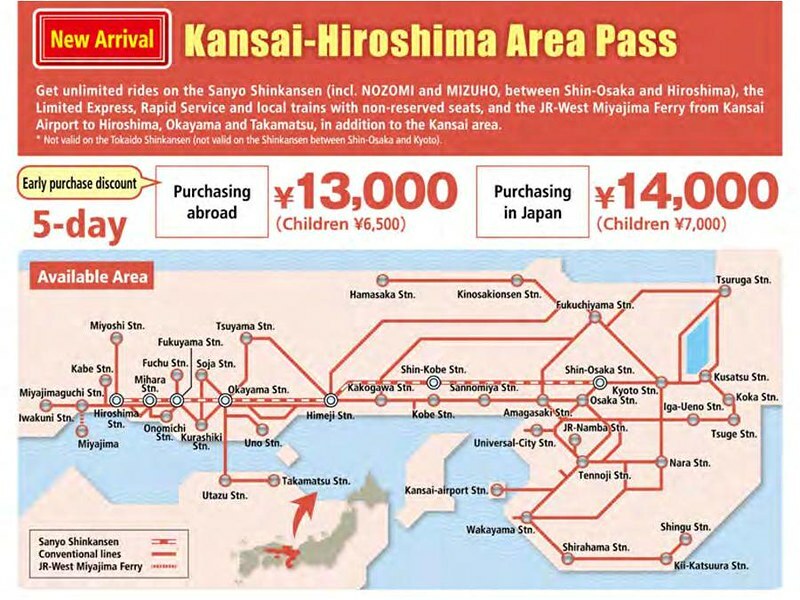 That brings us to the JR Kansai-Hiroshima pass...which is new and was only made available recently. If you're spending 5 days or so in the area and are planning to take several day trips to nearby provinces (see possible day trips here), I highly suggest getting one of these. It services practically the entire area. 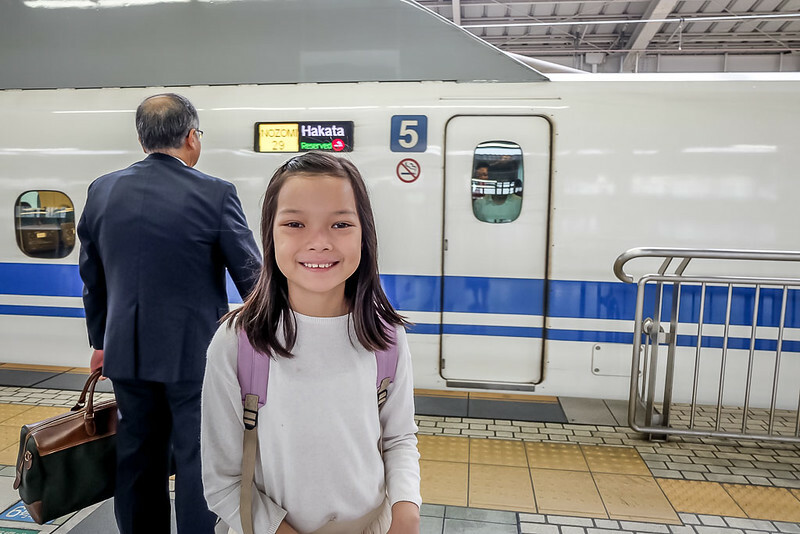 Get unlimited FREE subway rides on all JR lines including Shinkansen and JR ferry for 5 days. Train rides aren't that cheap in Japan, short rides (1-4 stops will already cost you about P75 one way. 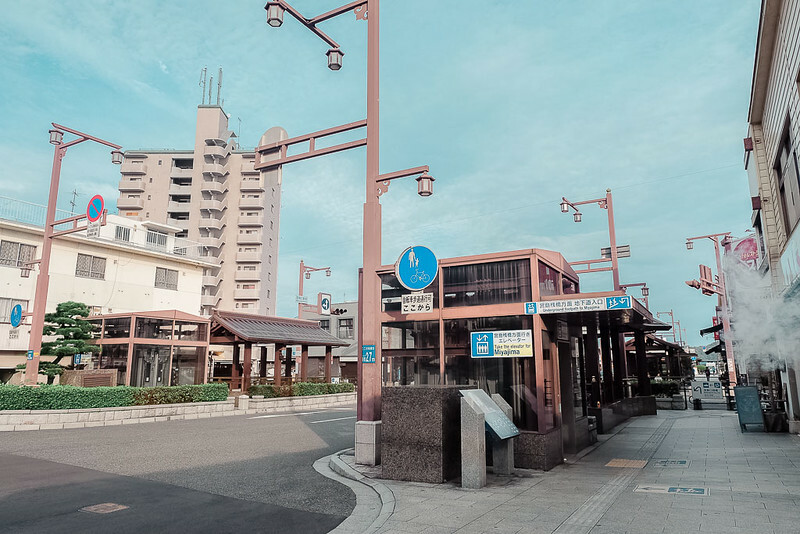 see Japan transportation guide HERE) so you will actually get to save a lot of money with these free rides) And you can get to almost anywhere in the region via JR line. 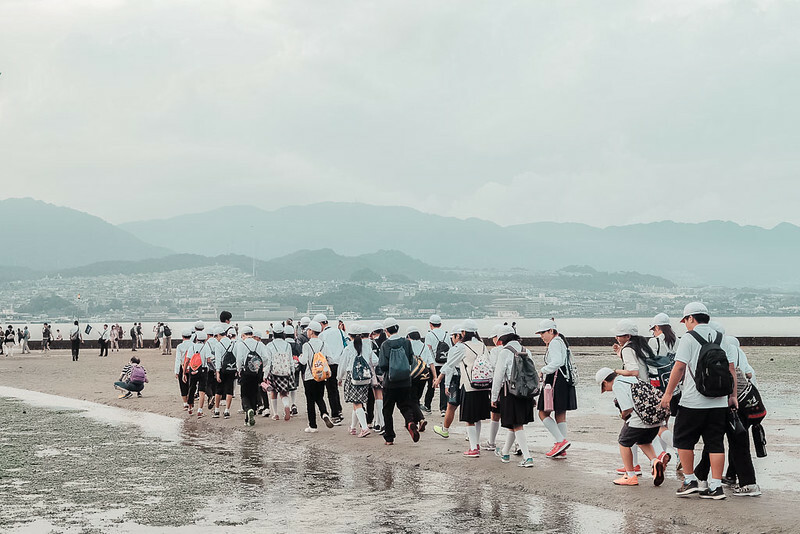 Also, one way fare to Hiroshima via Shinkansen costs around 10,000 YEN so on this one trip alone, you already get to save quite a bit. It's cheaper to get it offshore in advance. 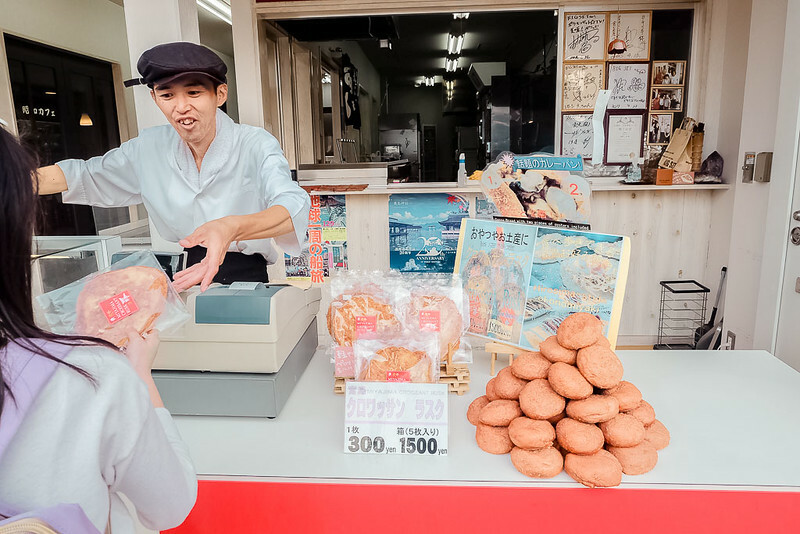 I purchased ours through Friendship Tours (they also handle our Japan Visa applications. Visa fee: P1200 only. highly recommended! No fail.) in Dusit Hotel Makati. They give you a receipt which you need to present at the JR office at major train stations in Japan (or at the airport if you arrive before 10pm) to redeem your pass. 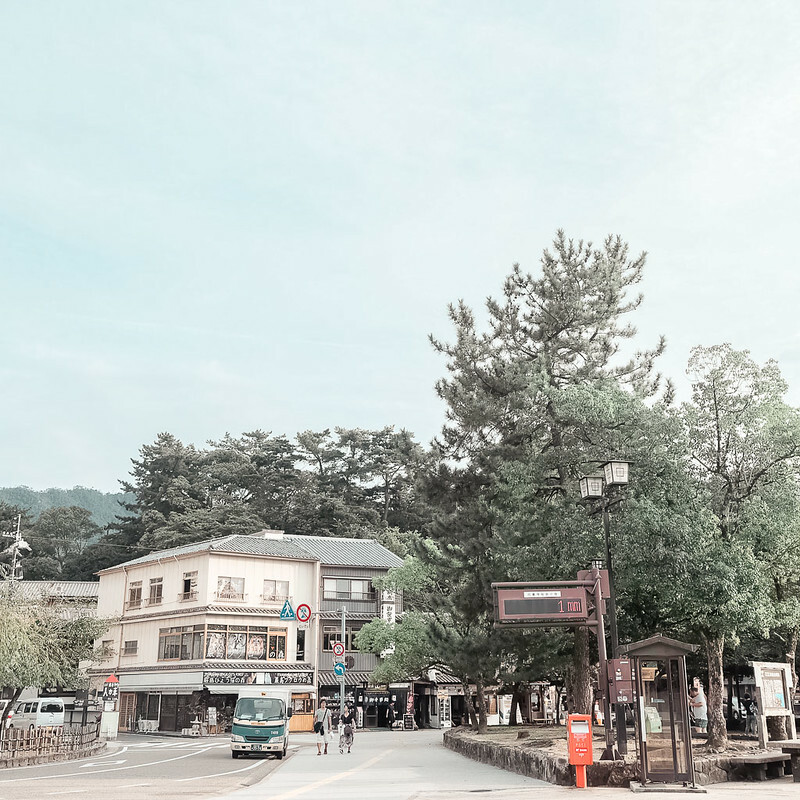 Don't worry, you can't get lost at the Miyajima station, it's very small and only has one exit. 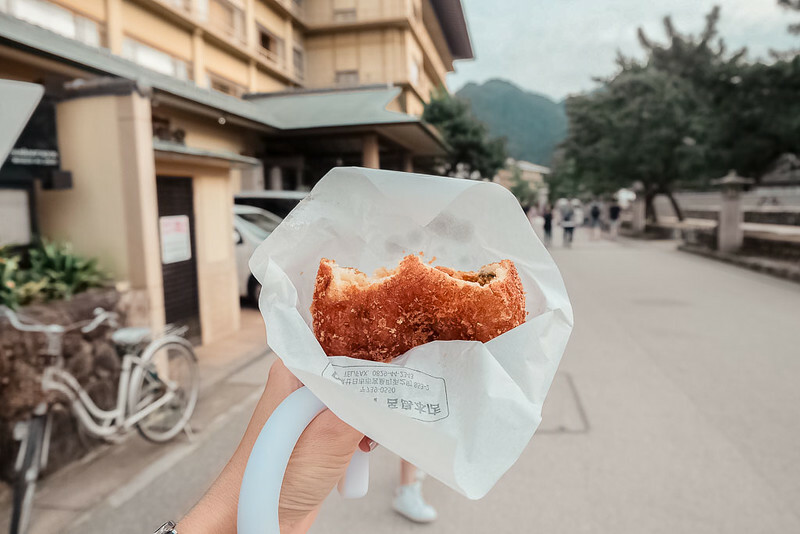 Once you emerge from underground, this sight will welcome you along with the delicious and welcoming smell of grilled Conger Eel. TRAVEL TIP: Follow your nose. 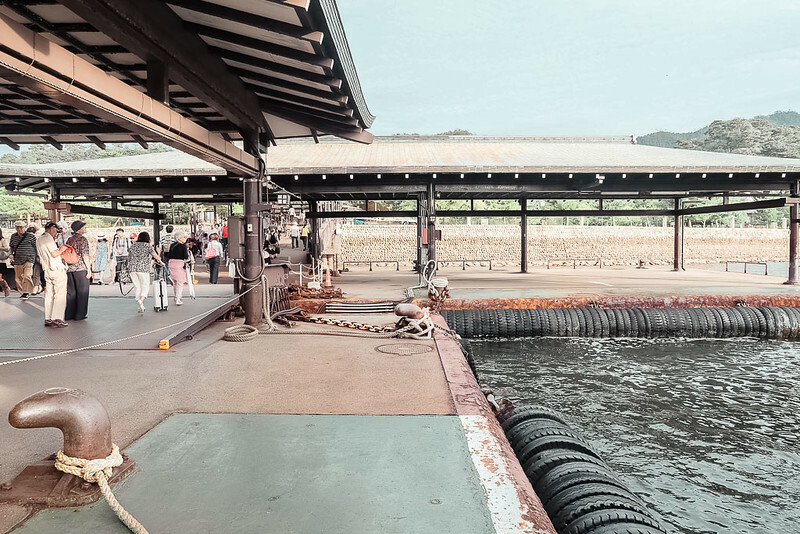 Conger eel is a Miyajima specialty. There's a restaurant along the path that serves ONLY 100 bowls of this per day. Just follow the yummy scent. Unlike the unagi we have here, Conger Eel is less slimy and sweet. It's more meaty, a bit tangy and SUPER GOOD! 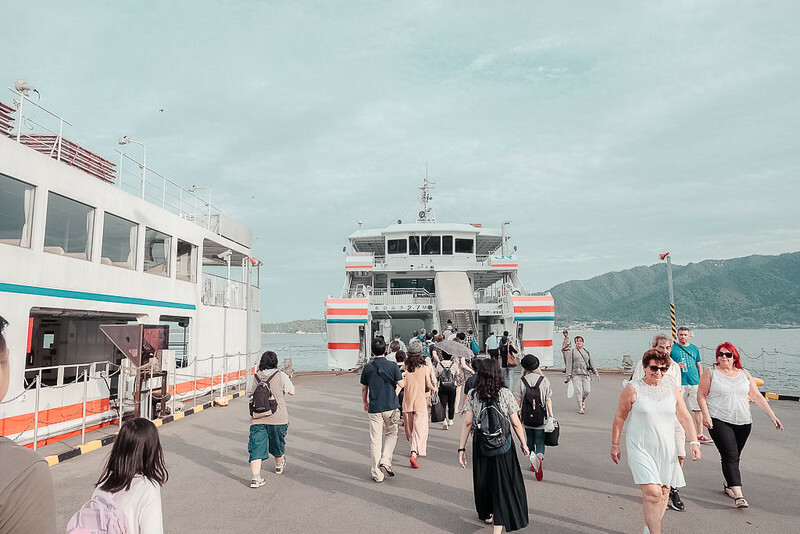 The ferry to Miyajima is like the one you take in HongKong to get you to Kowloon and vice versa. It's a quick (about 10 minutes) and stable ride via calm waters so no need to worry about getting seasick. 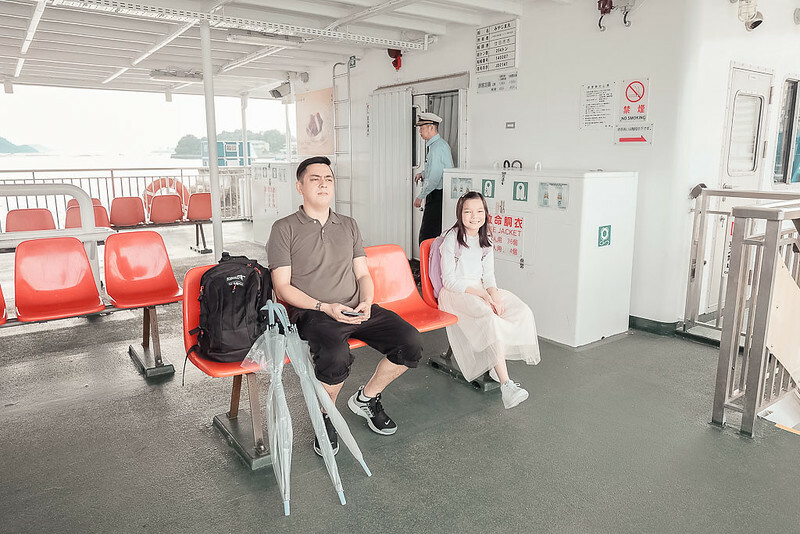 The ferry is clean and very comfortable. You can choose to stay in an airconditioned room or on the deck. It also has clean toilets. 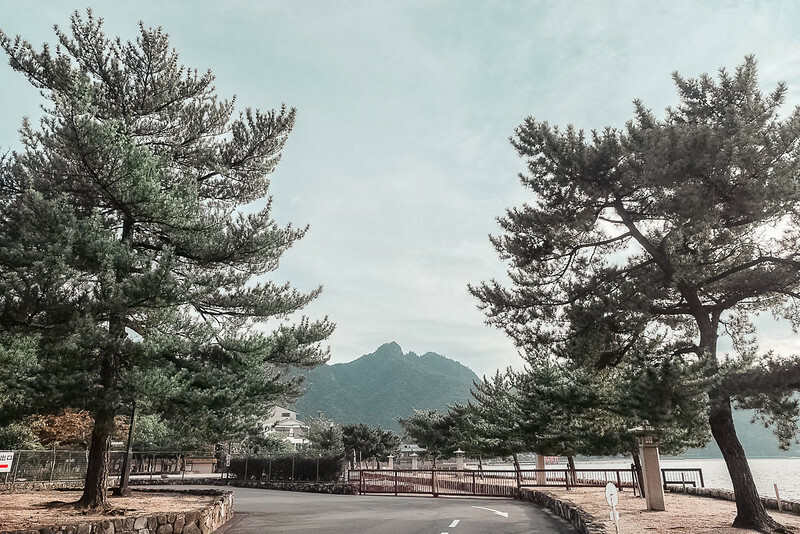 A few minutes into the ride and you'll already see these gorgeous layered mountains of Miyajima which FYI, used to be a volcano! 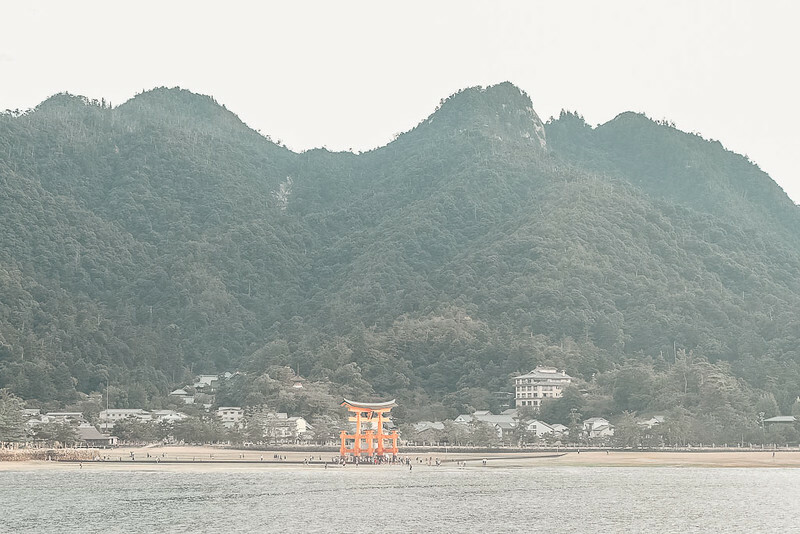 And finally, The Great Torii of Miyajima!!! 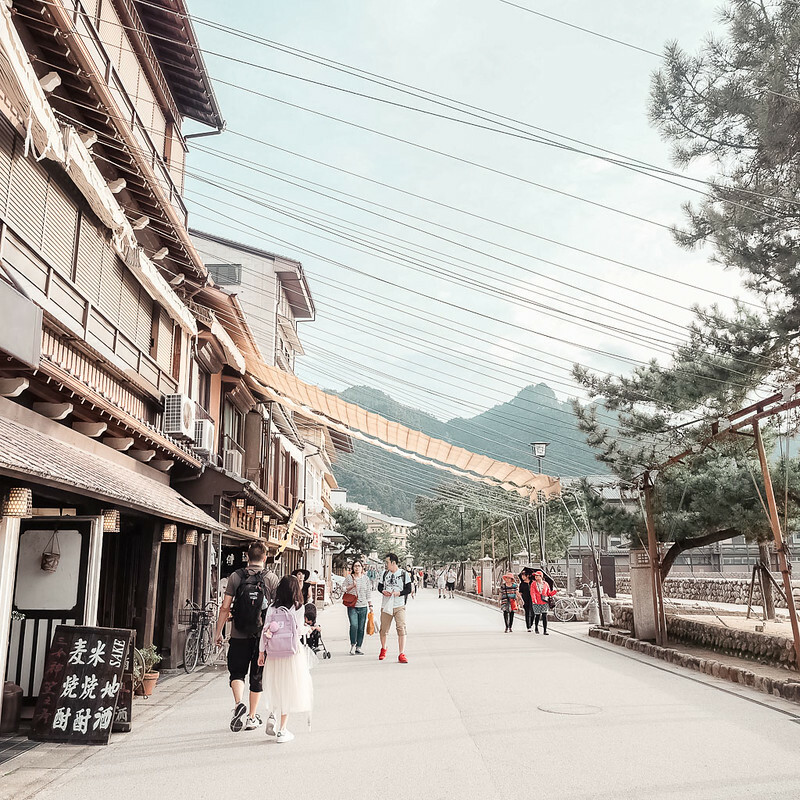 The small town of Itsukushima is quaint, authentic and beautiful. 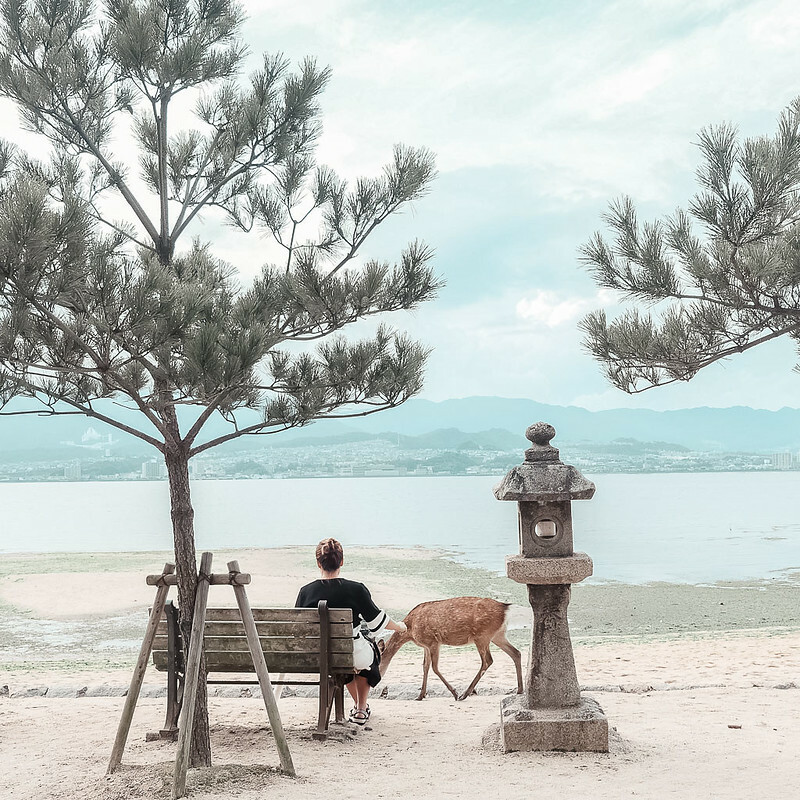 With a population of only 2,000 people, it is mostly quiet and serene with hundreds of different species of plant and trees offering shade for wooden park benches scattered along its sandy shores. 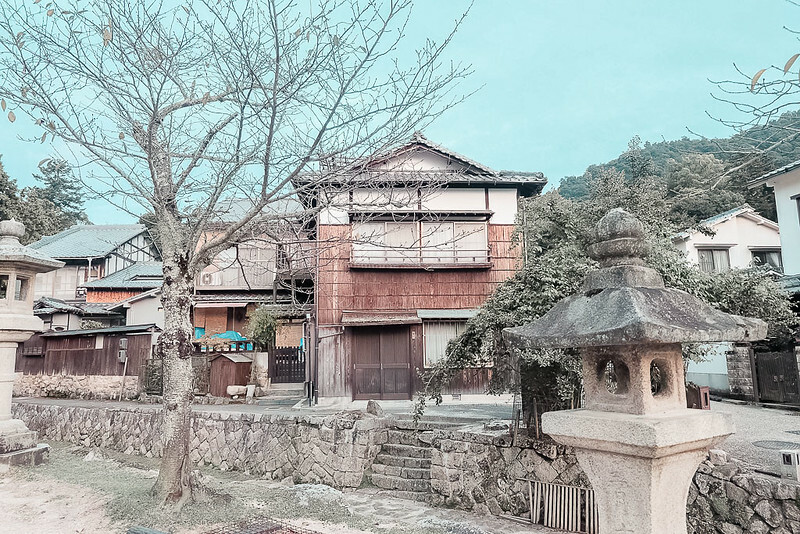 If I had known it was this pretty, I would've stayed here overnight instead. There are a few on the island but I hear they're more expensive than Hiroshima. More info can be found here. 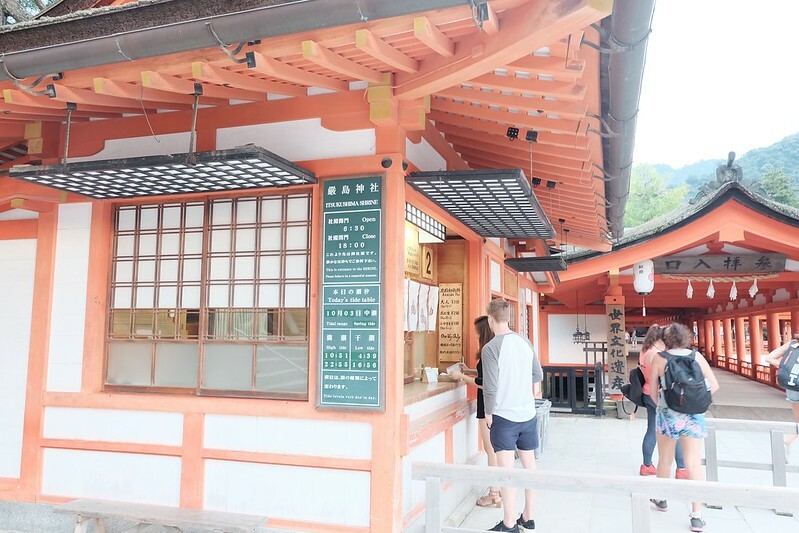 There's lots of souvenir shops, cafes and food stalls along the path to the Great Torii. We had Oyster Kariman which I never had anywhere else in Japan. Super yummy and unique. The crunch of the bread against the gooeyness of the oysters makes you want more and more + it's doesn't feel greasy despite being deep-fried. We woke up late. 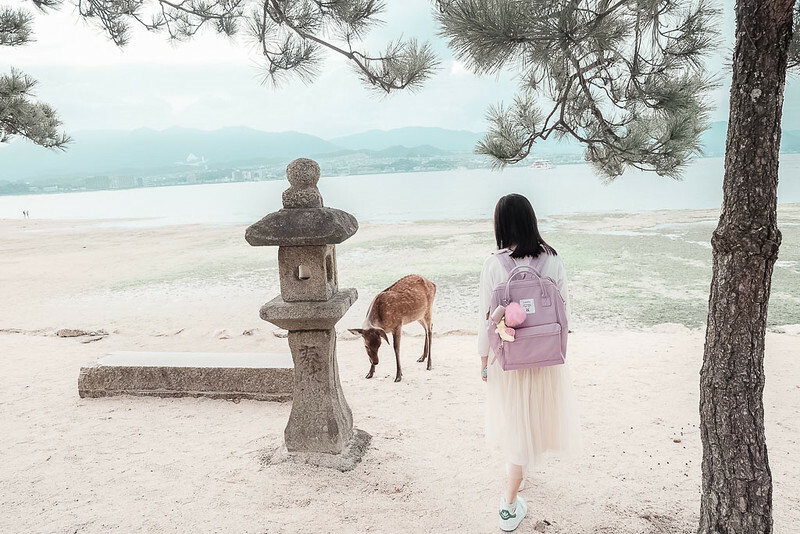 Aside from Miyajima, we were also supposed to visit the Peace Memorial A-Bomb Dome, the Park and several other places of interest on Hiroshima but since we were pressed for time, we decided to head straight to Istukushima instead. 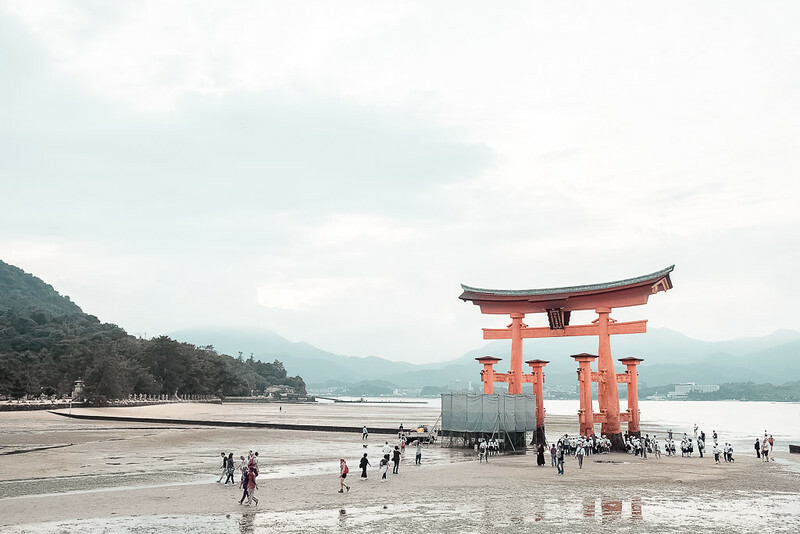 THE GREAT TORII - best time to visit? Depends on what you're after, during high tide, it looks like it's floating in the water but you can't get close to it, during low tide, you can walk right next to it. I wanted to see it during high tide but it must've been the season because even at night, the base was still visible. 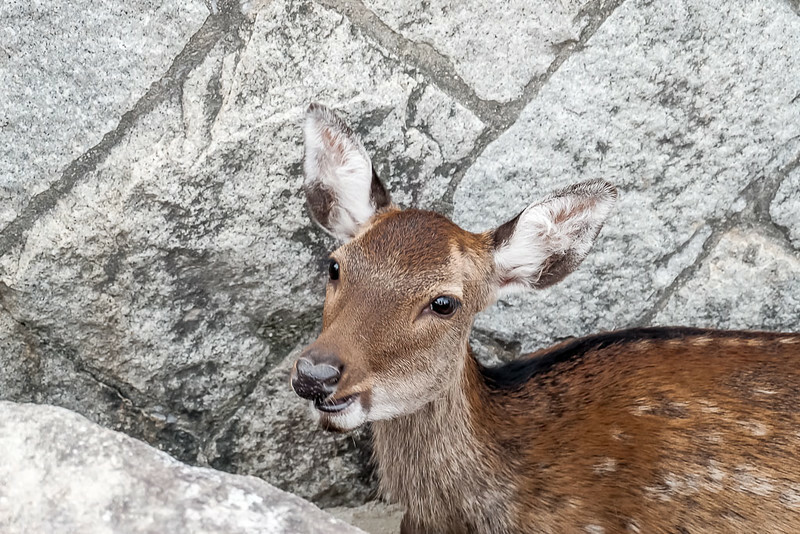 DEERS! 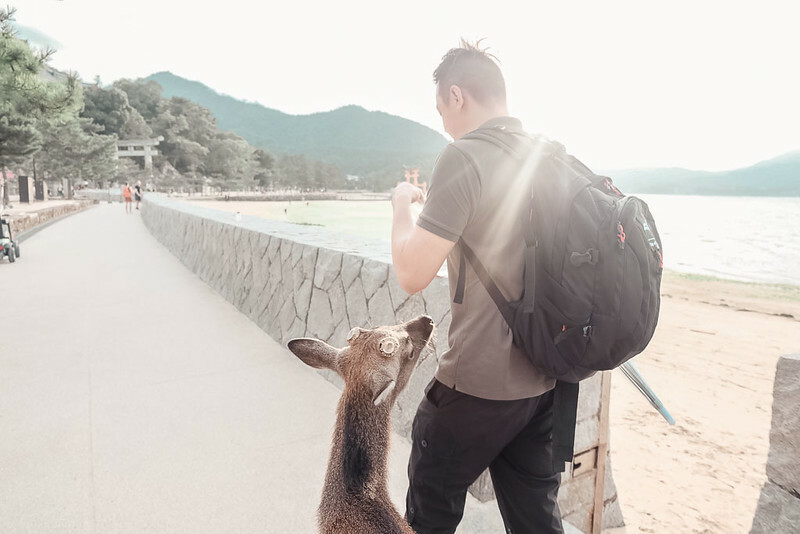 - I had more fun interacting with the deers here than I did at Nara park. There, they could get super aggressive but here, they were much more chill and sweet. To keep them in check, you're not supposed to feed them. Not saying they won't try and beg and follow you around for food. Resist the temptation and keep papers and maps out of reach. They will grab it from you and eat it! 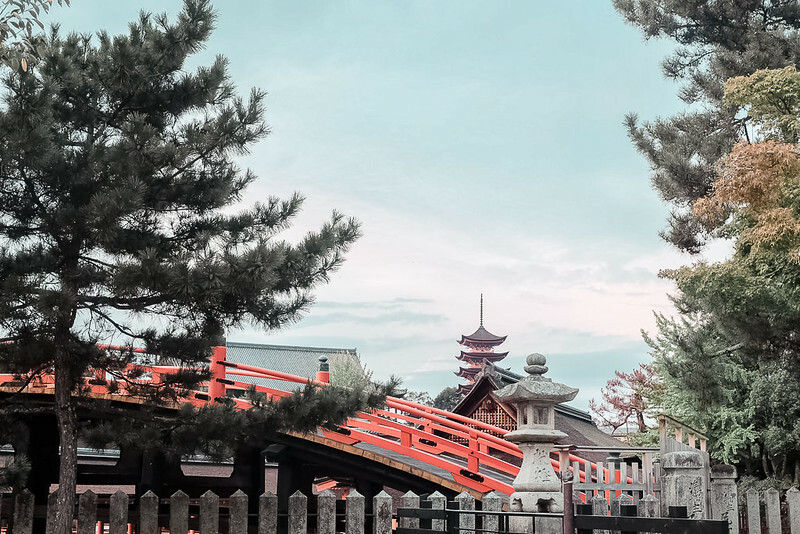 Considered a UNESCO World Heritage site, the complex dates back to the 6th century with it's majestic Torii Gate as it's most popular feature. A visit to the gate is free but to explore the compound, you need to pay small fee. Opens at 6:30am - 6:00pm daily. Is your P220 worth it? Even though there's not much to actually "do" here, but I thoroughly enjoyed walking through its silent halls. 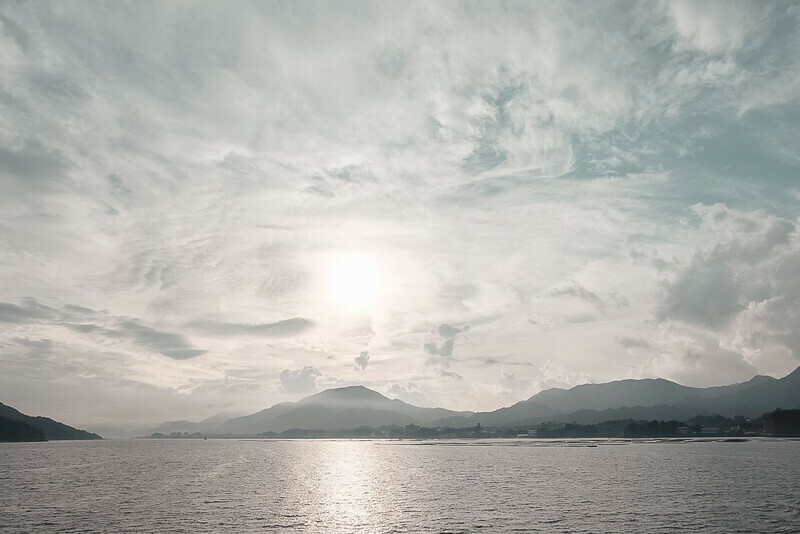 It provided a nice respite from the large crowds of tourists outside. 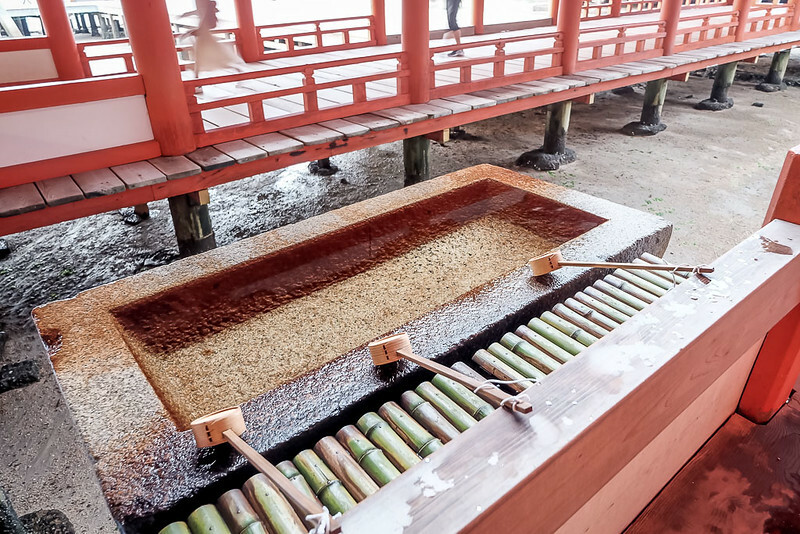 I also had fun imagining how life was for its inhabitants here before during the Shinto period. 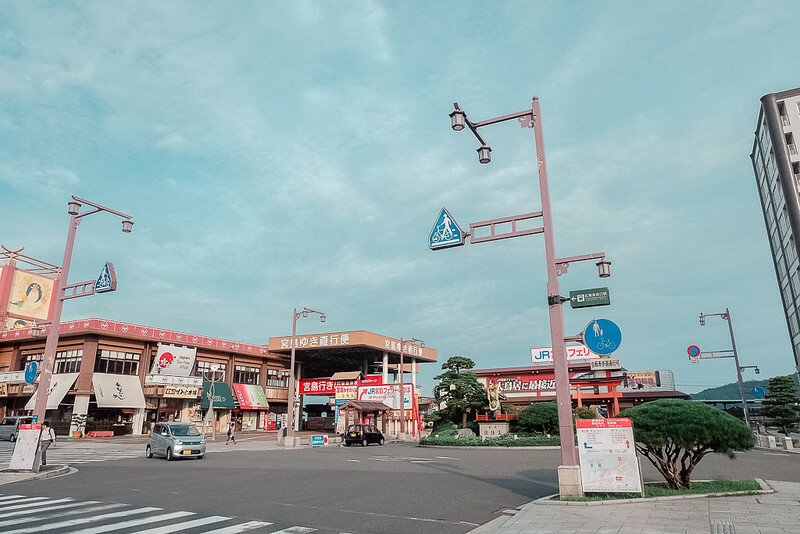 The place is well kept and maintained which makes it easy to envision a bustling community in and around it. 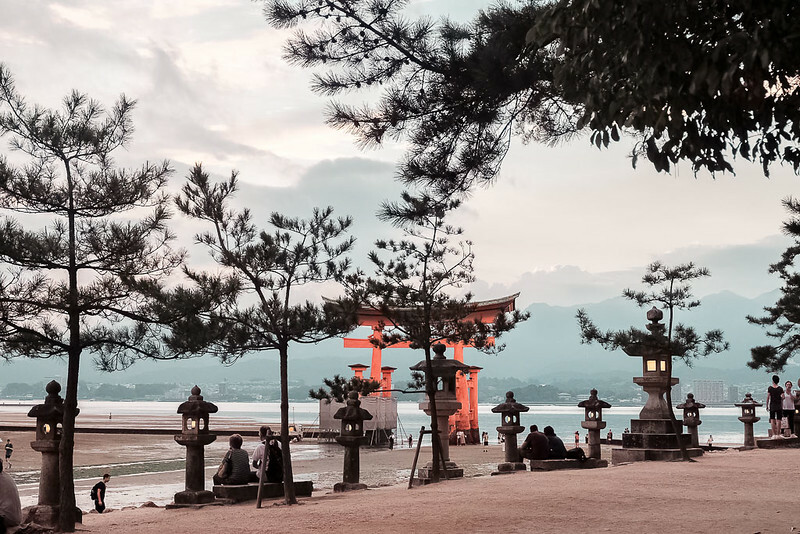 If you're planning a trip to Osaka this summer, I highly suggest considering a side trip to Hiroshima and Miyajima as well. It might cost you a couple more thousand but I promise you it's worth it. 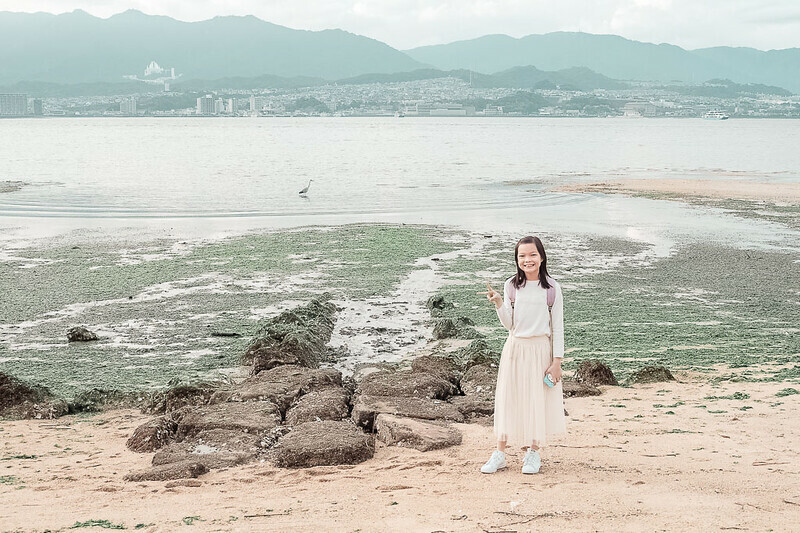 It's one of the prettiest places I've ever been to in Japan (which is already so pretty anywhere you go, so Miayajima really is special) and Osaka is a convenient entry point (also Nagoya). Hope you find this post useful. If you have more questions, feel free to comment below and I'll get back to you as soon as I can.